Today is day 3 of my 5000+ mile, 17 day motorcycle ride. Two days ago, I met my riding buddies, Larry T. and Larry A. (the Larry’s) in Canyon, Texas. Today we continue our ride down US 60. The start of today’s ride looks a lot like yesterday. 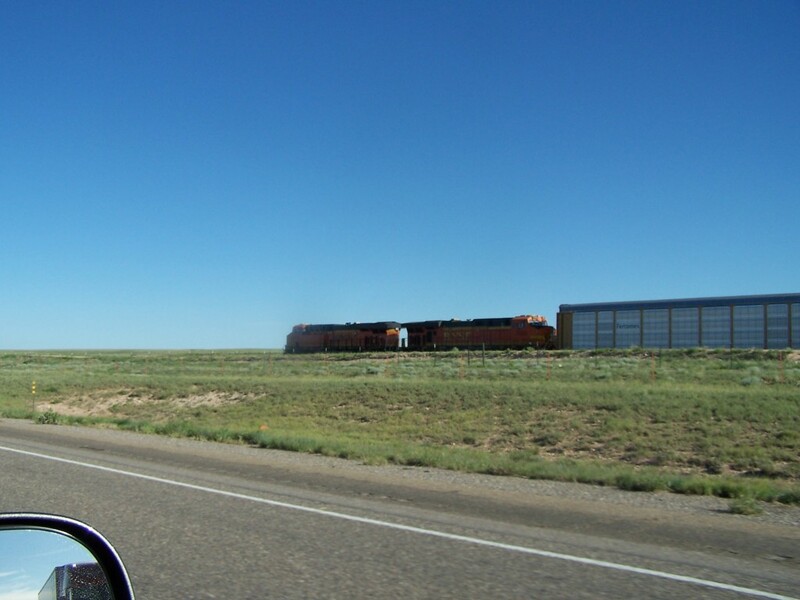 More miles of flat and straight highway paralleling the BNSF railroad with freight trains hauling tons of freight through miles and miles of ranch land with mountains in the distance. 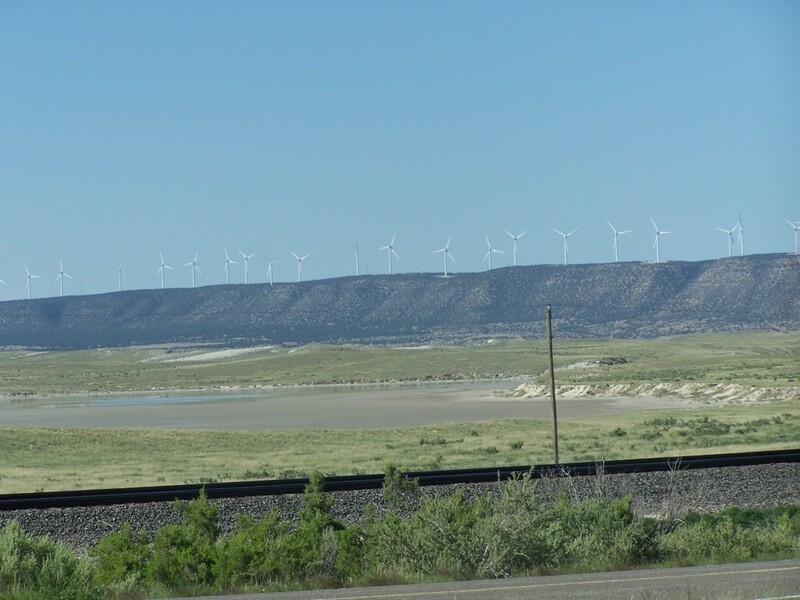 183 miles down the road we did make an unscheduled pit stop at Lemitar, NM. 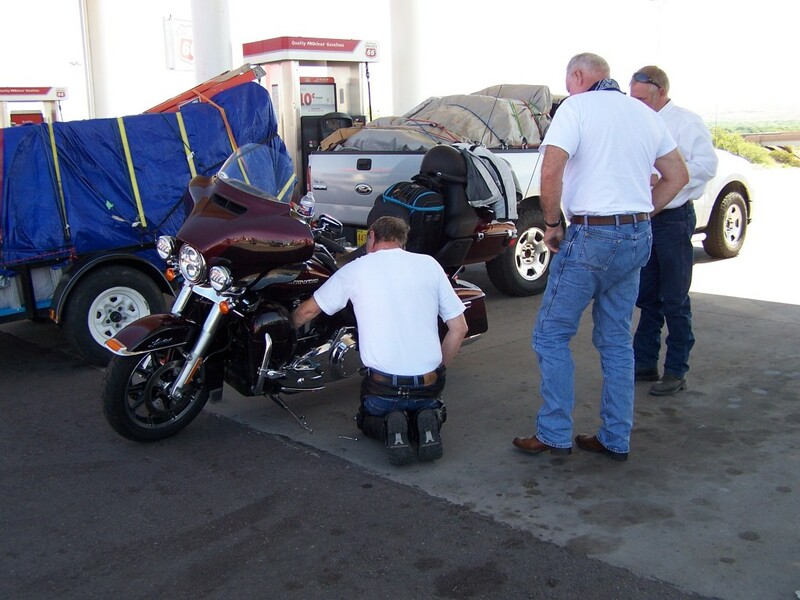 Larry A. was having issues with the heel toe shifter on his HD Limited, so we stopped for gas and he tightened a bolt that had come loose. With the temperature climbing, it was a welcome rest stop to rehydrated and visit with other riders before heading on down the road. 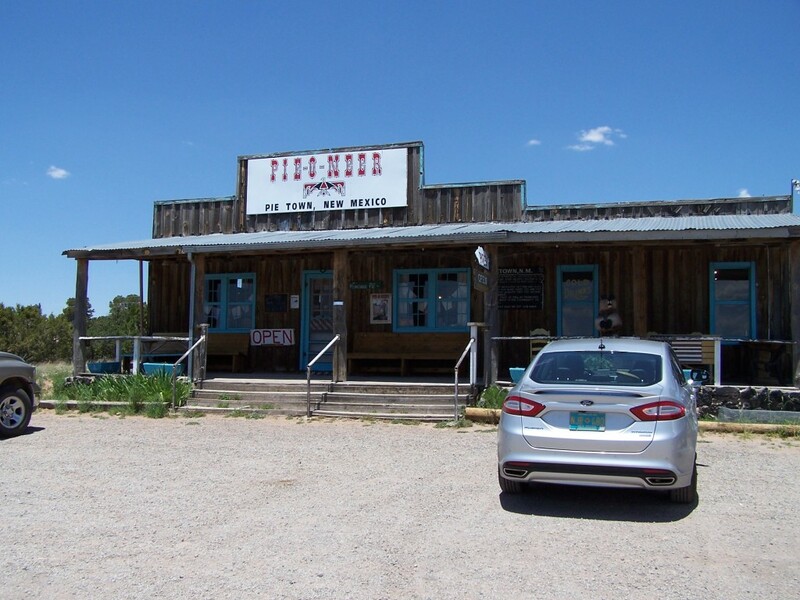 Our only stop, other than gas, snacks and rest, is lunch at Pie Town, New Mexico. 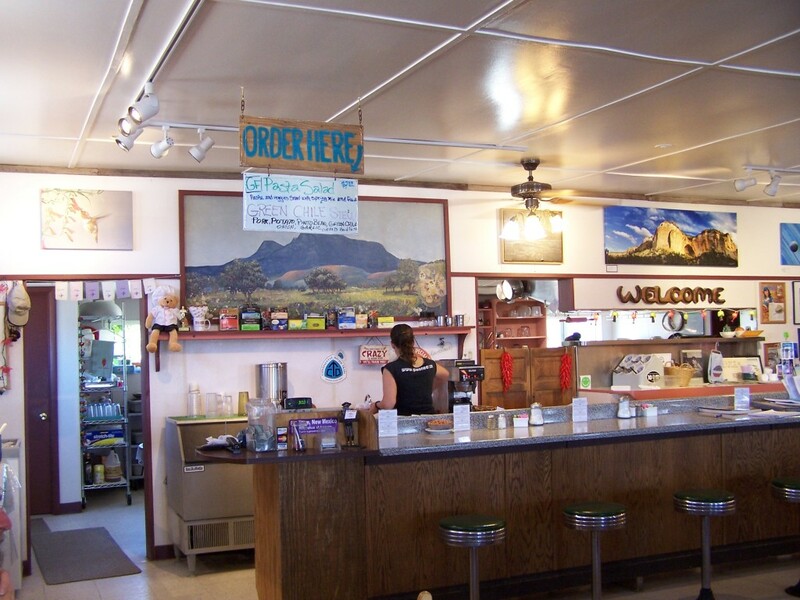 Pie Town is located on the Continental Divide at an altitude of almost 8,000 feet. 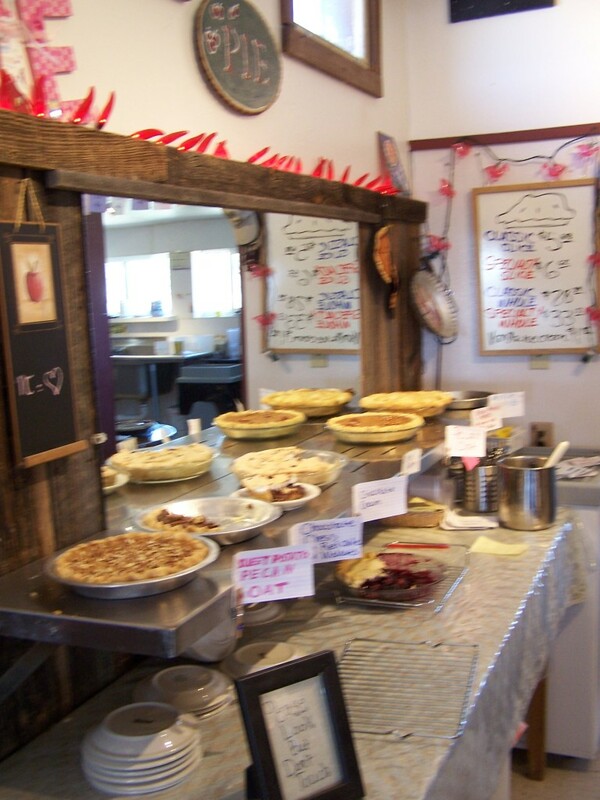 Pies have been sold in Pie Town on and off since it was settled in the late 1920’s, when Clyde Norman enjoyed making pies and shared them with locals and people passing through. The town applied for a post office 10 or so years later. The government wanted a more formal name, but Pie Town stuck. Getting to Pie Town things were few and far between, but when we were at the Pie-O-Neer, we felt like we were in the middle of everything. Lots of people like ourselves stopping for lunch, and of course, everyone had to try the pie. There were so many pie choices it was hard to decide. The green chile was great, but the apple pie was even better. The wait staff was friendly and eager to fill us in on some of the history of Pie Town. Beside the food and pie, they have other items for sale to commemorate your visit to Pie Town. 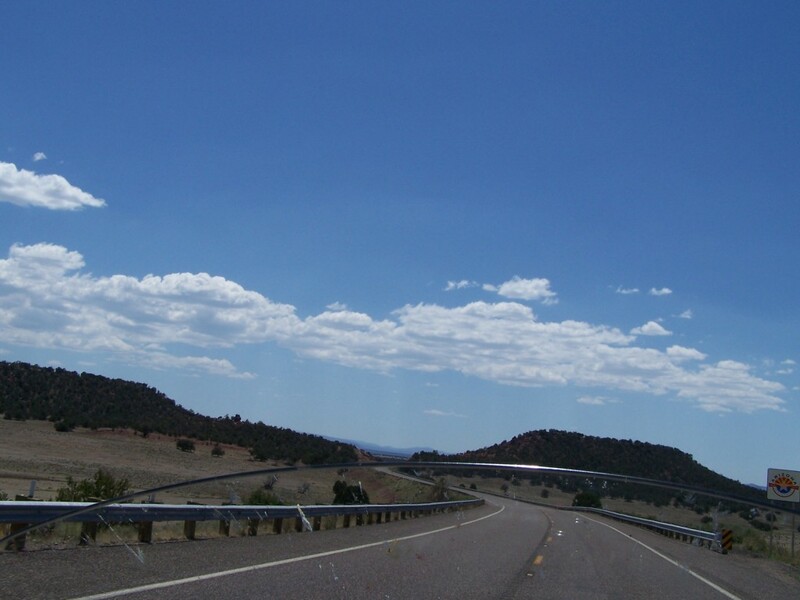 Eagar is located in “Round Valley”. They say to leave town in any direction, you must go up. Eagar is the home of the Round Valley Ensphere, the first domed high school football stadium in the world. Tomorrow, I plan to ride over to have a look at the stadium. I’ve seen it from the outside before, but I’m hoping I can get a look inside. I’m a bit curious how it is constructed… Eagar, with a population of 4750, is a quaint little bedroom community. It was Incorporated in 1948, so it is a new community. 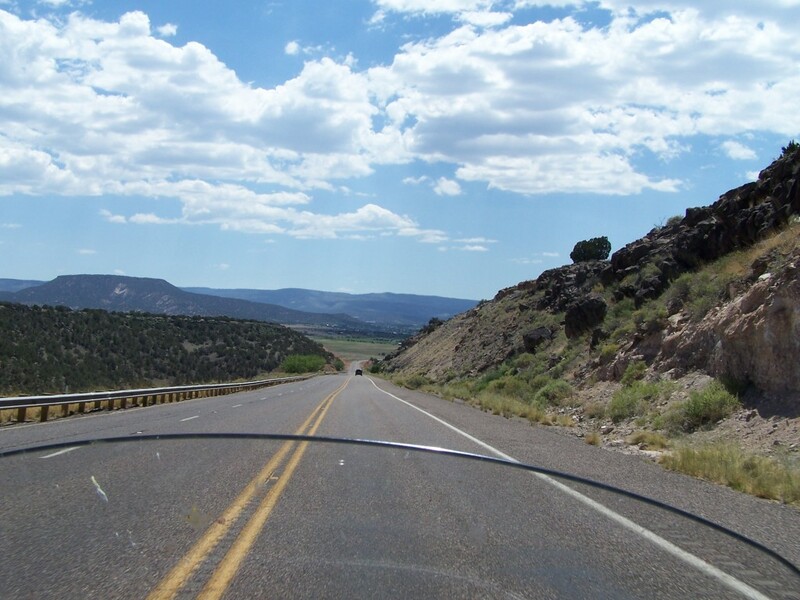 I love road trips and enjoy reading the details of your adventures. It’s the next best thing to going myself. Thanks for posting. Planning to head out West next year. Pie Town is on the list. Thanks for sharing the secret!